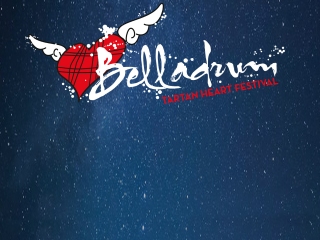 Belladrum Tartan Heart is one of Scotland’s biggest and most diverse festivals which brings together a range of music, art, comedy and, most importantly, festival goers of all backgrounds. Previous headliners include Deacon Blue, Primal Scream, The Proclaimers and The Charlatans! 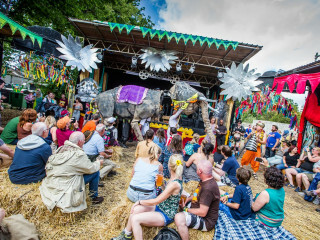 This family friendly festival has more than seven stages, over 70 acts and areas with everything from indie rock, dance and even cabaret and comedy. Tartan Heart has been a sell-out weekend since 2008 and after the continued success in 2018 it is sure to sell out many more! Across the site you can find performance art, dance classes, talks and debates for everyone to get involved! The children’s area also offers circus and dance workshops, arts and crafts and entertainment for endless family fun. There is something for everyone to join in, be prepared to break out the fancy dress as each year hosts a different theme from Royalty to Superhero’s and even Bollywood! 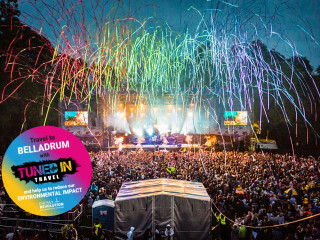 Tuned in Travel are happy to be one of the official providers of transport to Belladrum Tartan Heart, helping you get the fun started before you even get there! Our private hire minibuses offer door to door pickups and we are able to provide a wide range of vehicles to meet any needs. Whether you’re travelling with a family of five, or your ten best friends travelling from Inverness, Glasgow or beyond we will make the whole process easy, affordable and environmentally friendly. Don’t worry if your friends haven’t discovered the wonders of Belladrum yet, we also offer public coaches from major cities so you can make some new friends on the way to an unforgettable weekend!